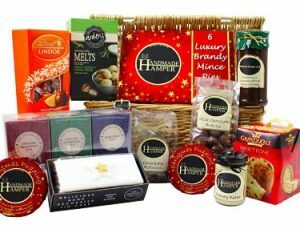 Send some festive cheer this Christmas with the prestigious Let it Snow Christmas Gift Hamper. 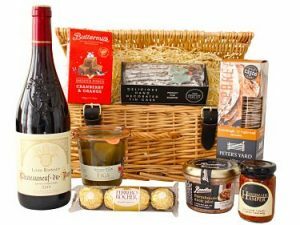 Full of delicious luxurious treats to accompany the bottle of your choice. 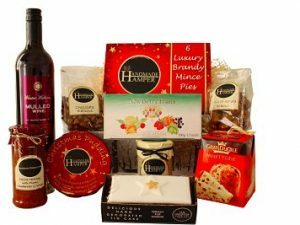 Farmhouse duck pate with artisan crisp-breads, accompanied by a delicious Handmade Hamper festive chutney and figs in Cognac. Finish with a sweet touch of Christmas in a box with the cranberry and orange fudge or share something special with the luxury chocolates. 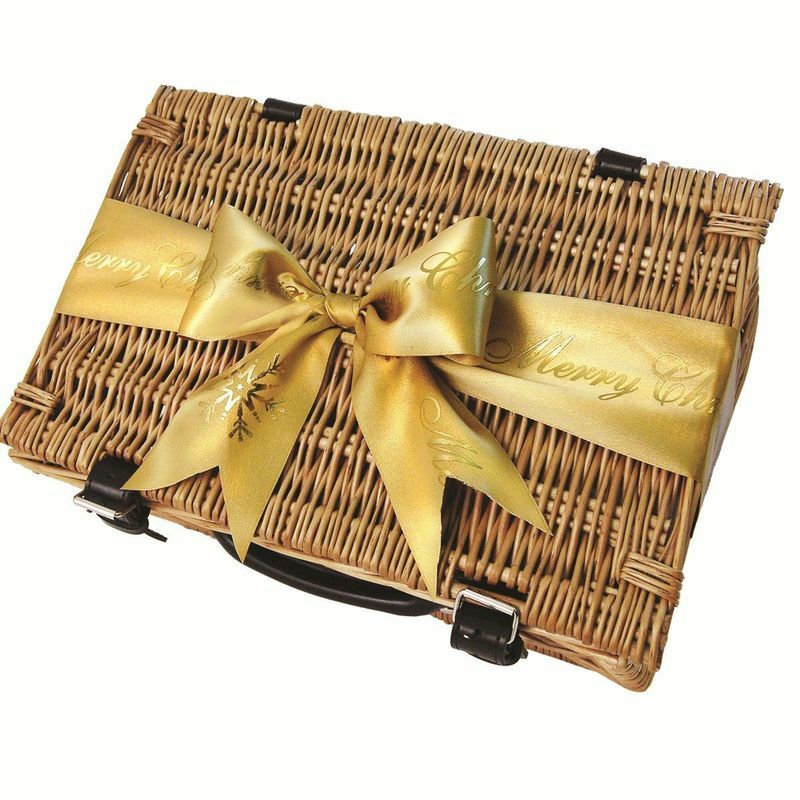 Presented in a traditional wicker gift hamper and finished with a hand tied gold Christmas bow, an ideal choice of Christmas gift hamper. 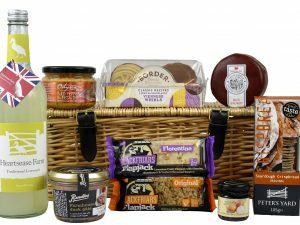 Choose your preferred delivery date upon checkout to take the worry out of your Christmas shopping this year. 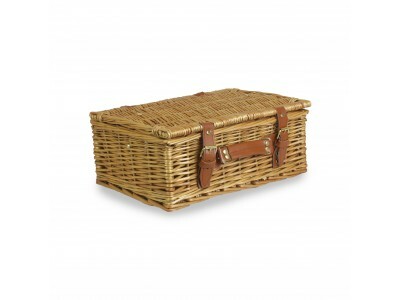 Presented in a 14 inch double steamed willow basket with brown leather straps. 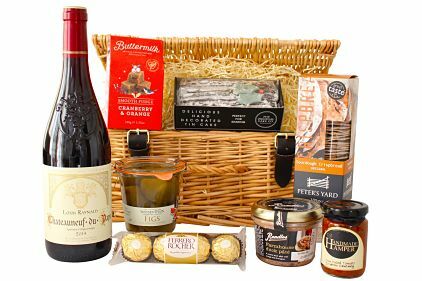 The alcohol content within our gift hampers is not suitable for anyone under 18.